Before "The Godfather's" Al Pacino made the homburg hat popular again, they were worn by Edward VII and most of Europe. Get your piece of the history pie by sporting our Stacy Adams Premium Wool Felt Homburg. 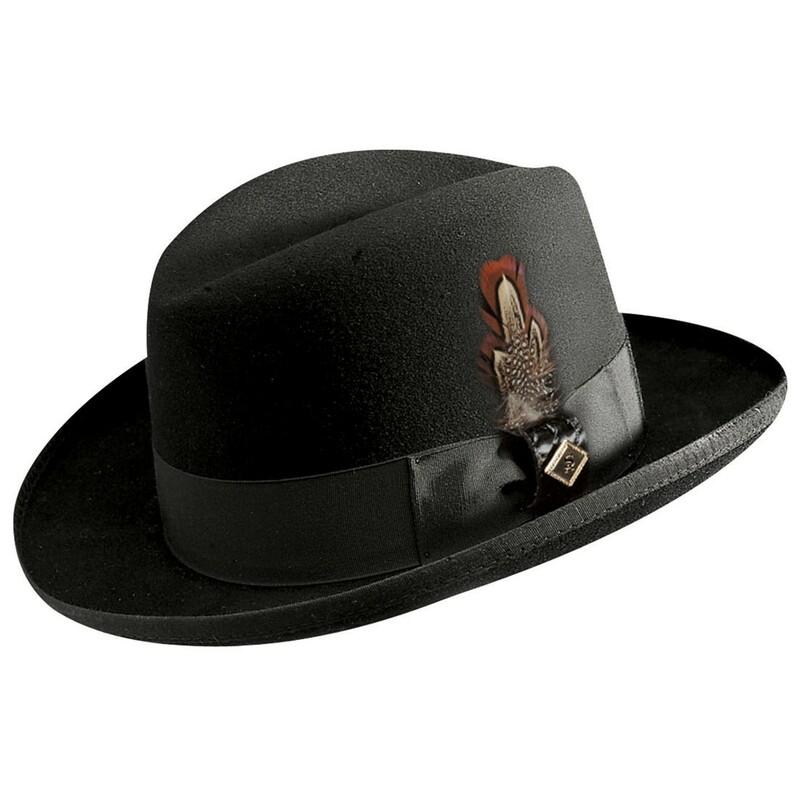 This hat has the traditional homburg features like a bound edge brim, still wool felt construction, and grosgrain band.